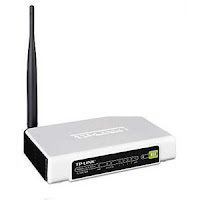 TP Link TL-MR3220 enables 3G Connectivity On-the-Go. It Works well with UMTS/HSPA/EVDO USB modems. 3G / WAN Fail-over RedundancyEnsures that even if oneconnection fails, users remainconnected to the Internet. Incredibly High SpeedShares your internet locally with11N speed, at up to 150Mbps.